Many businesses make large capital investments early in a product development cycle that may take years to bear fruit. Other businesses are highly cyclical in nature and frequently take losses during weak economies that they only make up years later when the economy strengthens. Net operating loss carryforward procedures allow businesses to account for uneven cash flows and to receive credit for their investments when calculating tax liability in future years. Otherwise, businesses would be reluctant to make large investments in research and development and long-term projects. C Corporations use IRS Form 1120 to file their income tax returns, while S Corporations use IRS Form 1120-S. While the ownership structure for those organizations is different, the accounting for net operating loss carryforwards is similar in both instances. However, in the case of the S Corporation, the company pays tax at the corporation level. With an S Corporation, any profits are passed through to shareholder tax returns. Shareholders pay any taxes due based on their individual income tax returns. To account for net operating losses in prior years, you need to keep meticulous records from your prior year tax returns and financial information. Each year, when your corporation files its corporate income tax return, you declare either a net operating profit or loss. If your corporation has a net operating loss, no income tax will be payable that year. But you have to defer taking a deduction for those losses until a later year. When you have profits, you can deduct those losses against those profits. According to the Form 1120 Instruction manual, published by the Internal Revenue Service, you must enter the total cumulative value of your net operating losses from prior years in Item 12. 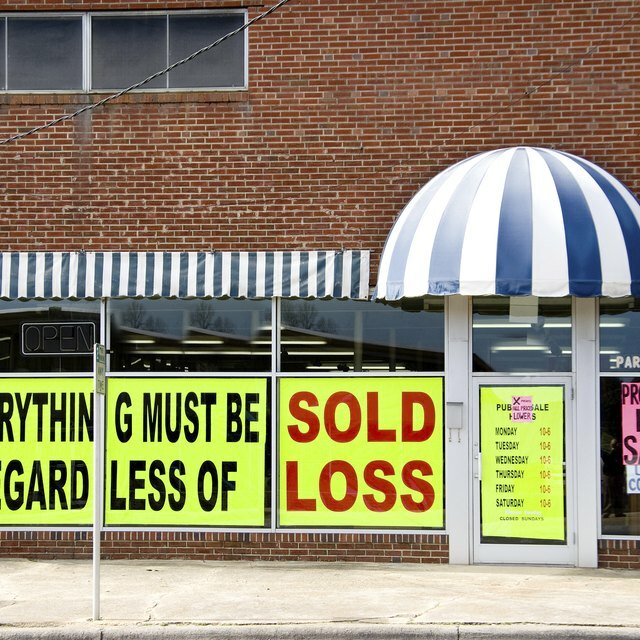 However, you can only list unused net operating losses here. If you used part of a prior year's net operating loss to offset profits and deduct against a tax liability for a prior year, you cannot deduct for the same loss twice. However, if you only used a fraction of your net operating losses to offset gains, you can use the remainder of your net operating losses in future years. What Is the Meaning of an 1120-F Form? Companies have the option of waiving their right to use net operating losses to offset income for any given year, choosing instead to continue to carry the loss forward to future years. To do so, check the box on line 11 of the Form 1120, and file your tax return as you normally do. One reason you might elect to waive your deduction and instead carry forward a net operating loss to a future year is if you expect income tax rates to rise significantly in the future. This would make your net operating loss deduction more valuable in future years than it is today. The Internal Revenue Service publishes a detailed instruction manual for filling out Form 1120, which is available at the IRS website. Be sure to use the correct form: Form 1120 for a C Corporation and Form 1120-S for an S Corporation.